Master Power started TaeKwonDo in 1992 through a local martial arts instructor who was a student of Grand Master Tae Eun Lee. Master Power instantly fell in love with this style of TaeKwonDo, as he had previously tried several other martial arts. He knows what it’s like to be a student as he is always making trips to Ottawa to visit Grand Master Lee, and to upgrade his knowledge and skill. Master Power started in the Martial Arts when he just 15 years old. During this time he was trying to put himself through school and found himself losing focus and short tempered due to long school and work days. After Master Power’s initial 3 month signup he was offered a scholarship in lieu of cleaning the dojang as his instructor knew of the financial hardship Master Power was experiencing. This truly was a turning point in his life as not only was he learning Martial Arts, but he was learning life lessons that could not be taught any other way. Master Power now had a new passion, and found himself training in the dojang 7 days a week. This eventually led to a full time paid position as an instructor. Master Power then contacted Grand Master Lee and in November of 2000 he opened the first Grasshoppers Moo Kwang System in Eastern Canada. 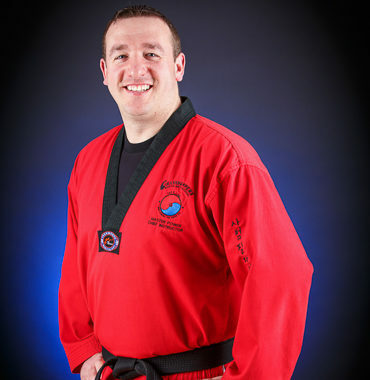 Master Power is a 5th Degree Black Belt, Master Instructor with Tae E Lee Taekwondo, NCCP certified instructor, National Level 1 referee, Past president for TaeKwonDo Nova Scotia & the Maritime TaeKwonDo Union, and Eastern Canadian Director for Grand Master Lee’s Moo Kwang System. Master Power has recently been elected to the National board of directors for Taekwondo Canada, where he holds the position of executive secretary. Master Power is proudly employed as a police officer working in the patrol and training division with the Halifax Regional Police Department.